Metromac is the pioneer name in marine automation field in Middle East. With the experience of more than three decades, Metromac is providing support to major shipping companies for most of the automation needs. Metromac is the authorized service centre for many of the renowned products in marine automation field like Hyundai switch gear, Riken Keiki gas detection system, Mitsubishi boiler, Schaller Automation, Hanla tank level and gas detection, DeckmaHmbg oil content detectors, Specs oil mist detectors, MRC PA systems & KSB Seil oil discharge monitors. We hold necessary spares for our agency products in UAE to cater the urgent requirement of the vessels during our service support to keep the vessel sailing at the scheduled departure. Our workshop is equipped with Master Calibrators traceable to national physical laboratories and Precision testing equipments from well known manufacturers. Our service is well known for timely delivery and efficiency under difficult and challenging working environments & we strive for continuous improvement on quality of rendered service in a highly professional and safe manner. We are providing Drydocking support to marine industry in various dockyards around the world like Dubai Drydocks, ASRY Bahrain, NKOM Qatar, Duqm Oman, Portugal, Lisnev, Singapore, Turkey, etc. Metromac is the authorized agent for HYUNDAI switch gear systems having factory trained engineers for supporting our valued customer round the clock. We are equipped with master calibrators for certification of HiMAP systems and circuit breakers. We provide support for repair, annual certification and drydock requirements to our clients around the globe. Annual certification of VCB, ACB, HiMAP and protection relays. Load sharing and parallel operation. 6.6KV and 11 KV control panels. Reefer panels for container carriers. Metromac provide solution for generator engine controls as well as distribution protection. We provide integrated control panels for engine controls as well as AVR. Generator alarms and safety shut down systems. Metromac is the authorized agent for HYUNDAI – ACONIS alarm monitoring and control systems. We provide integrated panels for alarms and monitoring panel for various parameters. Complete solution for main engine and general alarm monitoring and control system. Continues monitoring of each parameter with data storage. Repair and retrofit of various types of alarm systems. Installation of general alarm monitoring systems. Integrated panel with interface compatibility and future expansion. We offer our clients support for various needs in main engine control and monitoring systems. Our Engineers are trained for repair of pneumatic logic box and control systems. Electronic/pneumatic main engine maneuvering systems. Safety trips and alarms systems. Service of main engine logic panel. Metromac is associated with MITSUBISHI boiler control systems since decades. Our service team includes factory trained engineers for boiler control systems. Metromac successfully carried out MGO modification of Auxiliary Boilers on numerous vessels. Metromac is the authorized agent for HANLA systems. We provide solutions for various needs related to cargo control area. IG safety alarms and trip systems. 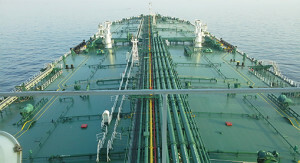 Metromac is the authorized agent for SEIL SERES oil discharge monitoring and control systems. We are having factory trained service engineers to support clients around the globe,Our stores hold almost all the spares for KSB SEIL/SEIL SERES/SERES equipment. Component level repair of PCBs. Metromac is the authorized agent for SCHALLER-VISATRON Main engine oil mist detector and SPECS atmospheric oil mist detector. Makers standard test facility for calibration and sensitivity test. Repair and retrofit of the system. Metromac is the authorized agent for RIKEN KEIKI gas detection systems. Our engineers are trained from maker to provide most economical and efficient service support. Ballast tank and void space gas detection systems. Sampling type and diffusion type gas detection systems. PCB level repair of the systems. Checking and repair of interlocks and external devices. Metromac is the authorized agent for DECKMA HMBG Oil content detectors. Installation and retrofit of panels. Calibration of OCD with maker’s standard calibration solution. 5 years factory calibration with maker’s standard test bench. Metromac is authorized agent for MRC auto telephone and PA systems. PCB level repair of the system. Repair of various type of fire detection systems. Installation and retrofit of the systems. Repair of fire protection interlocks panels. UV/IR, smoke, flame and heat type sensors.